I have so much to tell you. It’s been a really busy few days. I’m just going to start with a few photos for now, the other blogs can wait. I finally got the chance to tick off something that has been on my ‘to do’ list for a very long time. A friend of mine arranged for a boat to take me to Coney Island (not the American one before you get all excited! ), the Sligo one. I will tell you all about the trip soon when I’ve gone through the mountain of photos. 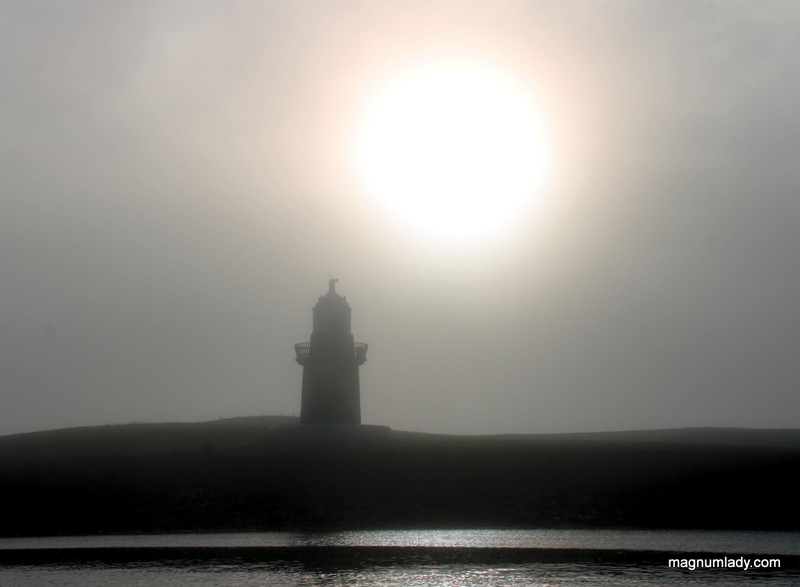 The photo above was taken while I was waiting to get on the boat at Rosses Point, in fact of the photos on this blog post were taken there, I hope you like them. These photos were all taken at 10am yesterday morning. 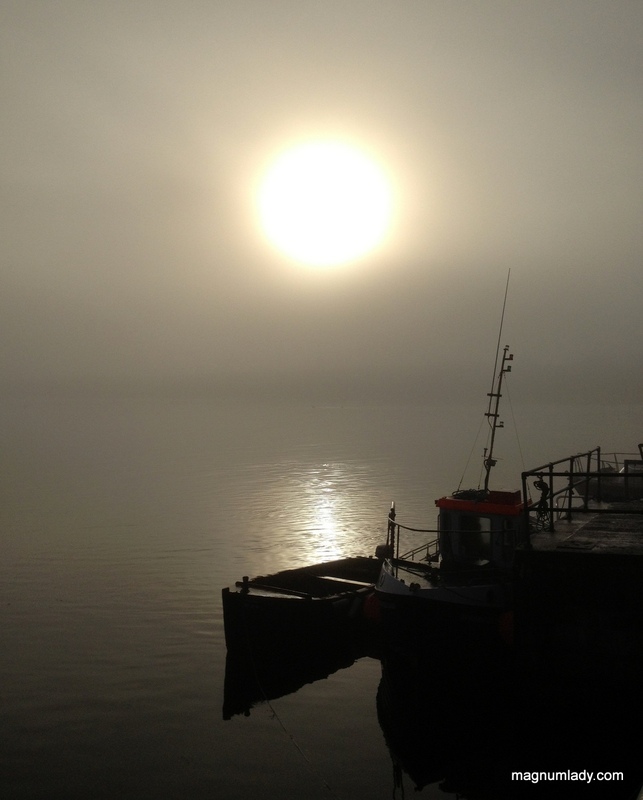 It was raining when I left home and I thought it was going to be a lousy day to go to the island, but the fog landed when I got the Sligo and I think it’s gives the photos a lovely atmosphere. 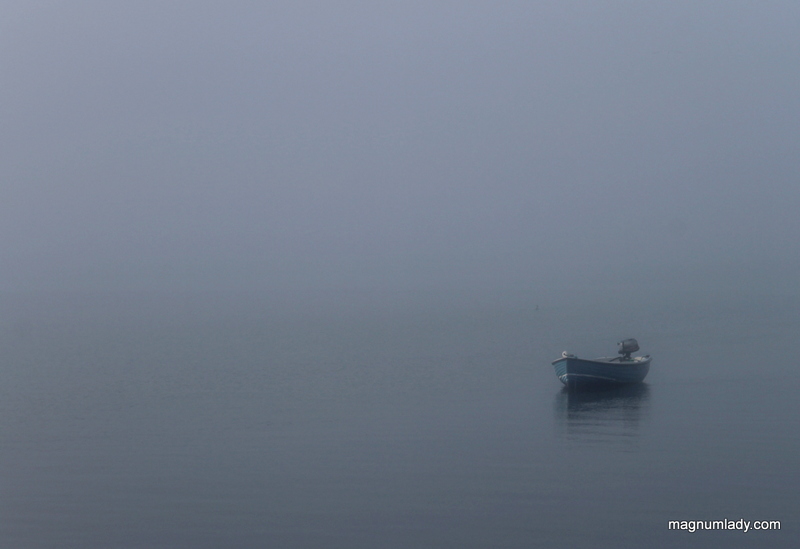 Regular readers to my blog will know about my track record with boats (it’s not good), so I was delighted it was a very calm day. I didn’t feel ill (phew), nor did I fall into or out of the boat! Always a bonus. Great photos Val! As per usual! Beautiful photos ! 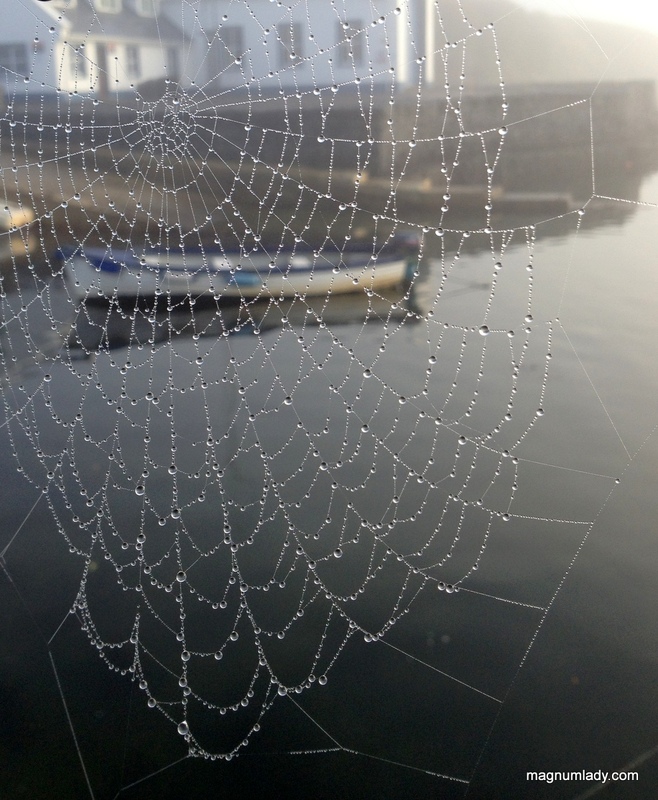 I love the spider web and boat shot a lot. These photos are superb! The spider web is my favorite–I love the layering!